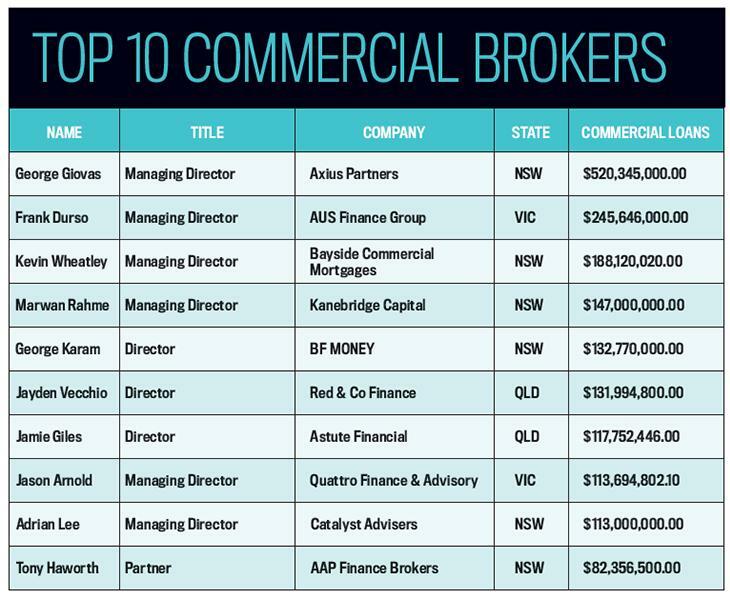 Our rankings of the leading brokers operating in the commercial and business loan space are back with a bang this year, showcasing the leading brokers operating in this increasingly competitive arena. Charbel Kadib finds out more. IT IS our very great pleasure to partner with The Adviser’s Commercial & Business Writers rankings for the first time. 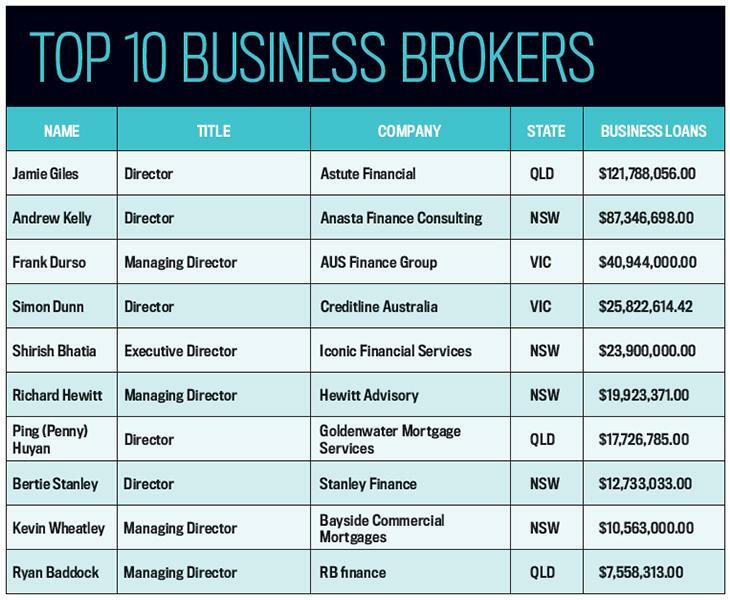 We wish to extend our congratulations to all the brokers included in the rankings and acknowledge their outstanding achievements over the year. Between the top 10 business writers and the top 10 commercial writers, there are 17 broker businesses, accounting for a staggering $2.16 billion in finance settled for their clients. Special congratulations go to George Giovas, of Axius Partners on Bridge Street, Sydney, for setting the pace in commercial with $520.3 million in settlements, a huge accomplishment in a competitive and fast-paced market. On the business side, it was Jamie Giles, of Astute Financial in Spring Hill, Brisbane, leading the way with $121.8 million in settlements and demonstrating the size and strength of the Queensland market. We encourage you to read the profiles in the following pages. Whether as a matter of general interest or in seeking out tips as aspiring business and commercial brokers, reading the features will give valuable insights into the varying traits, skills and strategies that have led to extraordinary results being recorded in the field of contemporary finance broking. As these top brokers have very different perspectives on what drives broker success, it just goes to show that there is no single, secret formula. It comes down to the skills, personality and segment of the market a broker goes after and manages to get right. At Thinktank, not only are we greatly impressed by the record results reported here, but amid the many challenges in and around the industry at present, it should give brokers, clients and lenders even greater confidence in the capability inherent in the finance broker sector right now and in the years ahead. The broker proposition is centred on assisting borrowers through the complexities of the mortgage market, providing customers with choice and access to loans that are well suited to their individual circumstances. This is perhaps most evident in the commercial and business lending space, which is well known for its complexities. Director of Astute Financial Jamie Giles, who placed first in the Business Writers ranking and seventh in the Commercial Writers ranking this year, said: “With commercial loans, it’s not so much getting the approval in place; it’s actually getting the settlement accepted and making sure the client keeps the loan. Mr Giles reflected on a $16 million deal he closed for a business client with a turnover of $50 million, which involved several finance applications. “[The deal] was across commercial property, working capital requirements, home loan, investment properties and a working call limit for assets. “They’re all challenging, there’s no one deal that’s the same as the other one, because you’ve got individuals behind the business, and then you’ve got the business. 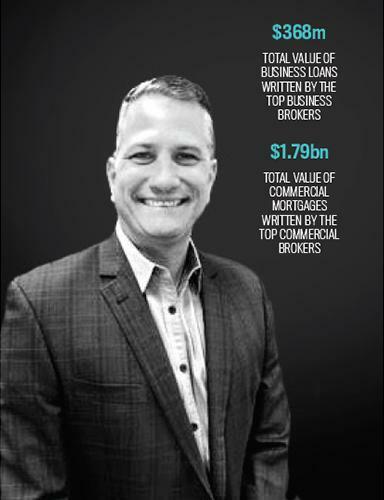 Director of Anasta Finance Consulting Andrew Kelly, who placed second in the Business Writers ranking, also reflected on the recent challenges he has had in settling a business loan for a client. Despite such complexities, writing commercial and business loans remains a lucrative option for brokers. In total, the Top 10 Commercial Writers of 2018 settled approximately $1.79 billion in loans, with the Top 10 Business Writers collectively settling $368.3 million. Managing director of Axius Partners George Giovas, who placed first in the Commercial Writers ranking, settled an astounding $520.32 million. Mr Giles closed $121.78 million in business loans and $117.75 million in commercial loans, a total of $239.53 million. 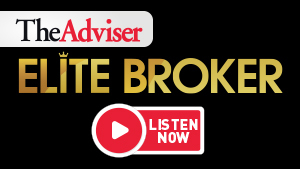 When asked what sets him apart from other brokers, Mr Giles said: “We know the markets that we’re very good at and that we’re experienced at, and we stick within those boundaries, but we do have alliances with other brokers who are experts in those fields. 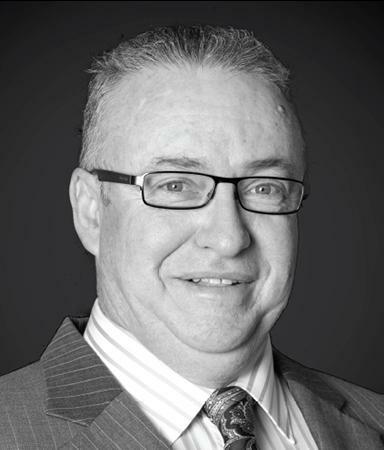 Mr Kelly, who settled $87.34 million in business loans, offered this advice to new and aspiring brokers: “Be sure of your referral sources, be sure that they are qualified, that they provide you with all the information that you ask for. There are no shortcuts. “Something that my business does, regardless of the lender, is ask for exactly the same information every single time because we know that if we’re consistent and we’re providing enough information, we’re comfortable with the transaction. That would be part of my advice — make sure you’re comfortable with that transaction. How have you excelled in this competitive market? We know the markets that we’re very good at and that we’re experienced at, and we stick within those boundaries, but we do have alliances with other brokers who are experts in those fields. We can accommodate every customer’s need; it’s just that what we’re very good at, we stick to and we do it often. What are some of the services that you offer to your clients? We try to write what we’re good at. We do home loans, we do car loans, we do all types of loans, developments and all that sort of thing, but it’s really our ability to do loans that have got a policy with the banks like IGA, medical and all those sort of loans that we do write. We stick to those particular avenues over everything else. We deal with a number of large groups of clients. They might have 80–90 businesses, and within that, there’s a lot of opportunity for us from a personal level and right through to a business level. We tend to get a lot of opportunities from our existing network and that’s underutilised at the moment, and we can certainly do a lot more with our current customers than actually acquire more. What are the major differences between writing commercial loans and writing residential loans? With commercial loans, it’s not so much getting the approval in place; it’s actually getting the settlement accepted and making sure the client keeps the loan. Because there are review processes in place with commercial loans, you need to make sure that you stay in touch with that business quite regularly, get that financial data and understand the direction of the business to make sure that the bank still favours that loan, especially when it comes to your working capital. It’s slightly different for residential loans or for other investment or principal place of residence. It goes through all of the pre-work with the applicant, you get the loan, it draws down and then the process stops. With commercial, it’s more of an ongoing relationship, where you need to be intricately involved with that business. What influenced your decision to join the industry? I was with Westpac for 23 years, and I just saw the bank going in a specific direction with some of the clients I had a long relationship with, and I didn’t necessarily agree with it. So, I decided that a number of banks’ opinions are better than one. I wanted to continue working with the clients, and this was the best avenue to do that. What changes have you observed in the market recently? I think the biggest struggle for us at the moment is that the banks’ level of interpretation and detail that they go into now is a lot more, and making sure that the expectations of the clients are met. In the past, you might have asked for four or five pieces of information and that was enough to get an approval. Now it’s like 10 pieces of information, and it could be more. Do you think that all brokers should be looking to diversify? No. I think what brokers need to do is understand what they do well and stick with that. If that’s an equipment loan, fantastic; if that’s a home loan, fantastic; if it’s commercial loans, go for it. If they don’t have a good skill set to be able to accommodate a customer’s needs, then they need to partner with somebody who can. I’m a pure advocate of that. What do you make of the recent scrutiny of the broking industry and the revelations of misconduct identified by the royal commission? It’s something that I’ve got to be aware of. I’ve got absolutely no control over that, so in my opinion, the commission has brought out a lot of bad practices and that’s what its intent was. It was never going to go through all the good practices. Being part of Astute aggregation and the Astute brand, we’ve taken a very strong policy and a strong hold on compliance. We adhere to that and a lot of our compliance measures are in line with any new perspectives that are coming out. In regards to remuneration, at the end of the day, we’ve always been focused on the customers; the customer comes first, and remuneration comes second. I guess as a business owner, you’ve got to be mindful of covering time and resources, but as long as you’re focusing on the customer, you’re getting the right outcomes for that, [and] remuneration will always be there. What’s your advice to new or aspiring brokers? It’s a different market today compared to when I left the bank five years ago. There’s a lot more scrutiny and there’s a lot more competition out there. It’s important to have a group of clients that you can access and service and do that well, because if you have a good experience with one of your clients, they would tell another client that you don’t have access to of what you’ve done for them, and they will gravitate towards you. But you do need that base of customers or referrals that you can rely on to make sure that you make it in this industry. What do you think sets you apart from other brokers? What sets me apart is that I offer a full relationship, so it goes all the way through to trading businesses, home loans, car loans, equipment nance, credit cards, bank accounts, merchant facilities — I offer the whole lot, I encourage the whole lot, I help facilitate the whole lot. What portion of volume that you write is for business and commercial loans? At the moment, probably 50 per cent. What are the major differences between writing business loans and writing residential? Residential has its own complexities and a whole different set of requirements and requests, but a lot of my business, particularly new business, comes with home loans at the same time. I’m writing home loans at the same time that I’m writing commercial business loans. I can’t say that one is harder than the other; they are just different. They’re different sets of requirements, different time pressures because, more often than not, residential has a timeline that you must complete within a certain time. Whereas commercial business is really pushing as hard as you can to do it as quickly as you can. I was in major banking for 21 years, so I had a very good run-up to becoming a broker. I was always aware of clients’ requirements, but I was a little bit frustrated that I couldn’t offer certain products that I knew were in the market, that I was limited with just simply being with one lender. There were certain products that we knew were in the market but that we couldn’t sell. I would move business occasionally because we didn’t have that product to offer. That was probably my push into becoming a broker and I had a very good set of loyal referring partners that wanted me to expand, and the only way I could do that was to offer more products — and the only way I could do that was to leave a bank and become a broker. What kind of loan products have clients been demanding? 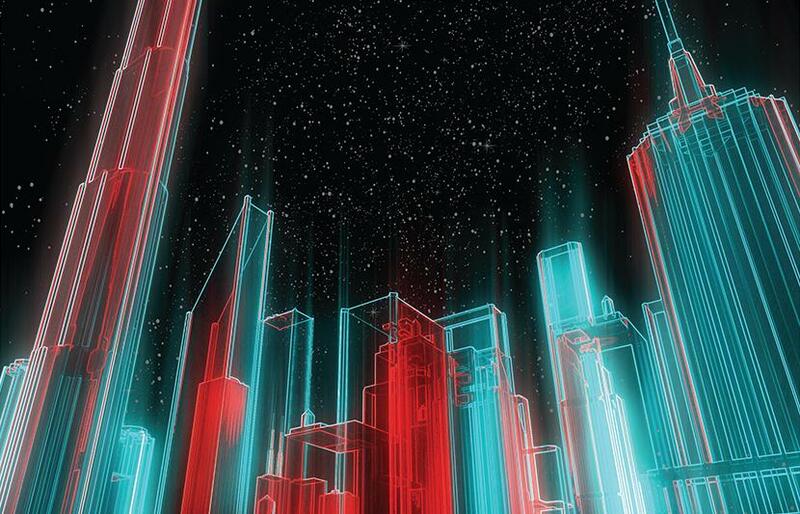 Clients are demanding choice, and they’re also aware that one bank can’t offer everything, so they’re looking for the best possible solution and the best client outcome. Sometimes their existing bank can’t provide that, but a number of brokers, like myself, assist the existing bank with negotiations to retain that client and to improve what it is they’ve got, because sometimes the bank can get a little bit complacent with the relationship that they have. There’s a certain amount of brokers that help existing banks retain that client and, at the same time, build the bank a stronger client. My plans are to continue to expand my client base. I’ve picked up a number of new accounting practices, and those referring partners are excited about the future. These are difficult times at present with the landscape that we have. A lot of the processes are being bogged down with a lot more requests for detailed information, which we supply, we always do. I’m excited about the next stage, but there’s a lot going on at present. I think a lot of brokers, including myself, are just waiting for this to be finalised so we can go back to business as usual.